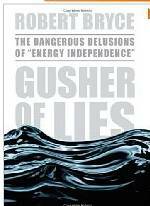 Obama has promised “green” jobs while killing coal and promising to make energy prices skyrocket (See: http://www.appinsys.com/GlobalWarming/ObamasGovernment.htm). 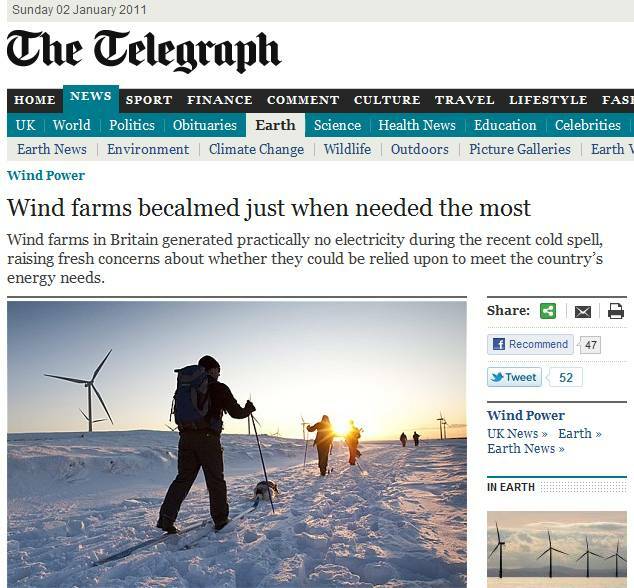 See also: http://howardrich.org/2010/02/green-jobs-scam-unmasked/ for more details on foreign companies receiving “stimulus” funds for “green jobs”. 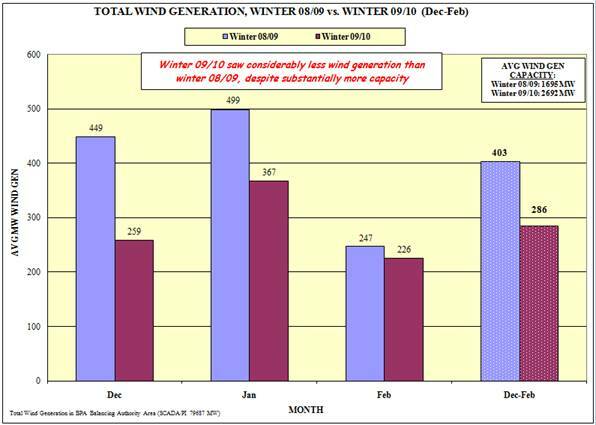 The following figure shows the total wind power generation by month for the 2008/09 and 2009/10 winters. 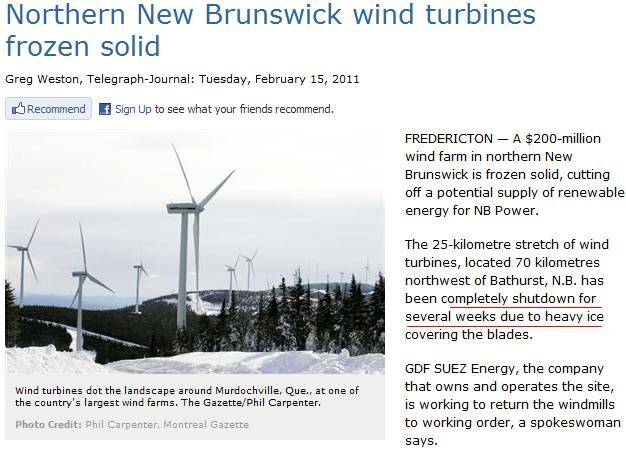 Between the two winters, many windmills were added to the system, increasing the capacity from 1695 MW to 2692 MW (a 58 % increase). 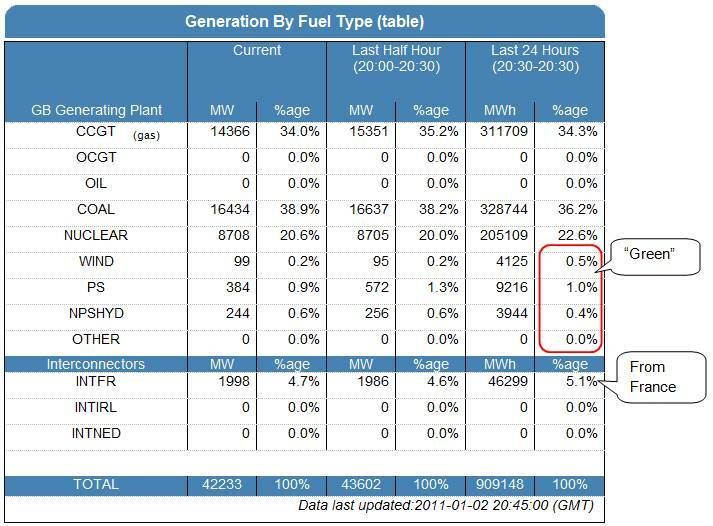 Yet the amount of power produced decreased by 29 %. 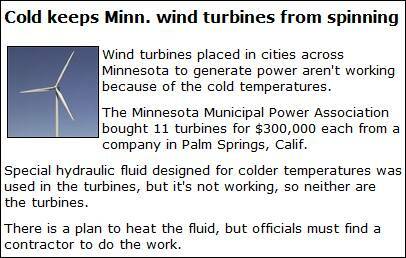 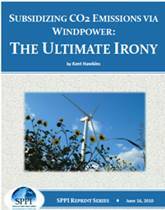 If the wind doesn’t blow enough, more windmills means higher cost, but still insufficient energy.